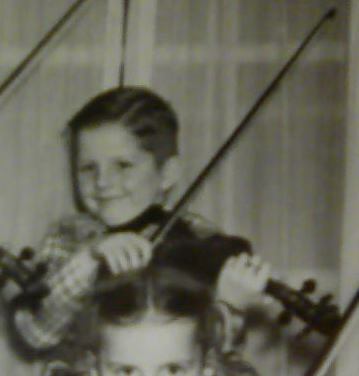 As soon as one begins making progress on violin playing, you feel like going back to the very first tunes you learned to play on the instrument. Then you realize how much you've come along. I remember when I first started playing it there was no vibrato nor were there ornaments. Hope you folks like it. I like it JuanFiddler!! That was beautiful!! Ejjj, Juanito amigo, una melodía muy linda, muchísimas gracias ! LOL... way cool ! Thanks man ! disregard my posts to coax you to post on the Violin a long. I had missed this post. I am so glad you shared. I remember your first efforts with this tune a while back. For some reason it was the page on my pc that when I logged on to FM it would go to that page. So I listened a lot to it back then..before I ever knew I would play it, or have a desire to play it. I love your playing and your progress... thank you for posting and for all you do otherwise. Bravo and my hat is off to you. You have become such a beautiful violinist. Superb job, Juan, as usual. You've come a long way, excellent playing. Oh Juan, that was just beautiful. This is my first go to song and I am still inspired by my peers to do better! I'm learning that piece at the moment. I wish I could play it like that! Beautiful! Very Very well played, enjoyed that.